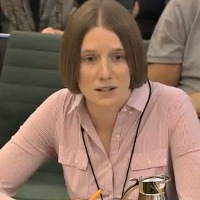 Health experts, Professor Simon Capewell and Dr Emma Boyland, from the University’s Institute of Psychology, Health & Society presented evidence this week to the Health Select Committee enquiry on Childhood Obesity. The Health Select Committee examines the policy, administration and expenditure of the Department of Health, ministers and associated bodies. Currently, the Committee is holding an inquiry to specifically consider what the Government’s policy priorities should be for preventing childhood obesity. Professor Simon Capewell is vice-president for policy for the UK Faculty of Public Health and a professor of clinical epidemiology at the University. Professor Capewell is also a trustee for the UK Health Forum for Heart of Mersey and a founder member of Action on Sugar. Dr Emma Boyland is a trustee of the UK Association for the Study of Obesity and is currently conducting influential research into appetite, obesity and the impact of marketing on children. Professor Capewell and Dr Boyland were invited along with other health experts from Public Health England to present evidence and discuss recommendations to improve children’s health. Professor Capewell, said: “The aim of the inquiry is to consider what the Government’s policy priorities should be for addressing childhood obesity. We all have a duty of care to improve the lives of our children so they can grow up to become healthy adults. ”With the Faculty of Public Health, I have been promoting the benefits of a sugary drinks tax and a ban on the advertising of junk food and sugary drinks before 9pm. There is solid science to justify including these evidence-based interventions in the comprehensive Childrens’ Obesity Strategy”. Dr Boyland, said: “There are many changes we would like to see to help address the problem of obesity in children, such as tighter regulations around food marketing during family programming. 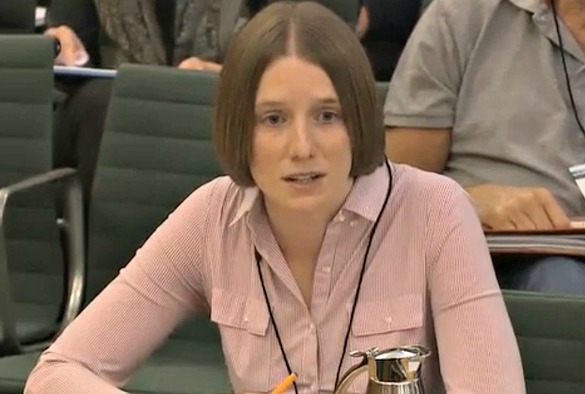 “As part of the evidence I presented at the committee, I discussed my research, which has shown that food marketing plays a negative role in children’s diets. It doesn’t just affect brand preference – it promotes overconsumption of the least healthy items. This is not confined to TV advertising, online marketing by food and beverage brands is now well established.